How in the world is this American naval officer communicating with this Japanese girl? Shaw, who was playing the lead character of Pinkerton when it first dawned on him, said that he realized, "There's no way in the world we speak the same language." The original opera's answer was "Italian," but Shaw — also the artistic director of the Pacific Opera Project — had an idea. 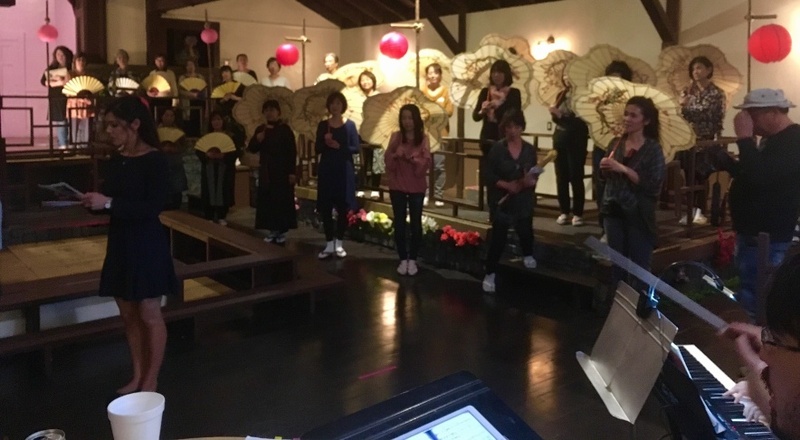 It took years to put it in practice, but now he's doing it: Madama Butterfly, in both English and Japanese, at a Little Tokyo theater. "Probably, it's going to be your only chance in your life to see this kind of project," Shaw said. 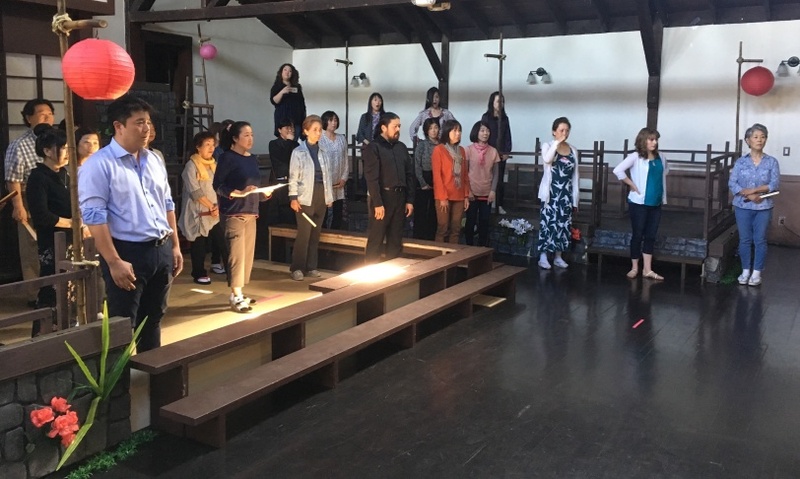 To answer the translation question, the Pacific Opera Project uses the characters of the marriage broker and the American consul to serve as translators — except for the scenes where the leads, Pinkerton and Cio-Cio San (aka "Butterfly"), are alone. "The big issue, and the big crux of this project, is the Act 1 love duet," Shaw said. "That's been the most fun part of the whole project, is just imagining how these two people could communicate really non-verbally." While they're saying things, Shaw said, neither truly understands the words coming out of the other. "Most of it is pretty straightforward — I mean, you can pretty much say 'come to me' with body language, or 'I want you,'" Shaw said. "It's when it gets very specific — like when she says 'I hear in your country, they catch butterflies and stick them with a pin.' Well, even with your best charades, you're not going to display that." Pinkerton answers specifically — Shaw feels they've managed to justify it in body language over the course of two weeks of rehearsals. "You just have to accept that there's times where they don't know what they're saying," Shaw said. And sometimes there are miscommunications, where she'll think she recognizes one word, but Pinkerton's talking about something else — that leads to playing scenes differently than in a traditional show where they perfectly understand one another. Shaw knew when he first thought of it that he didn't have the budget and the people to do it in an authentic way. As Shaw's Pacific Opera Project grew, he had it in the back of his mind. Then he found a collaborator, more than two years ago: Eiki Isomura, the Japanese American artistic director of Houston's Opera in the Heights. Isomura wrote the Japanese libretto, while Shaw did a fresh English translation of the Italian original. The translation of the English was simple enough, with most of the Italian words mapping to something singable in English — the Japanese translation, less so. "Often, there's just too many syllables. Something in Italian that takes two syllables takes five in Japanese," Shaw said. It ended up taking longer than Isomura thought it would, according to Shaw — that meant they didn't even have a final version of the libretto together on the first day of rehearsal. "I didn't even really have in my hand something where I could look at the page, see the Japanese characters, and see the word-for-word English translation right under it. We just got that a couple days ago," Shaw said. Shaw felt thankful he knew the show well enough to be able to make it work. "What I would have to do is literally look at the notes, read the melody, think about what the Italian is, and then translate that to English so I could direct them in Japanese," Shaw said. "It blew me away the first time we did it," Shaw said. "And it's so different. You're like, 'How did I just accept this convention the 20 times I saw Madame Butterfly? It's so ingrained in us as opera lovers. ... We all just accept this convention that they speak the same language." 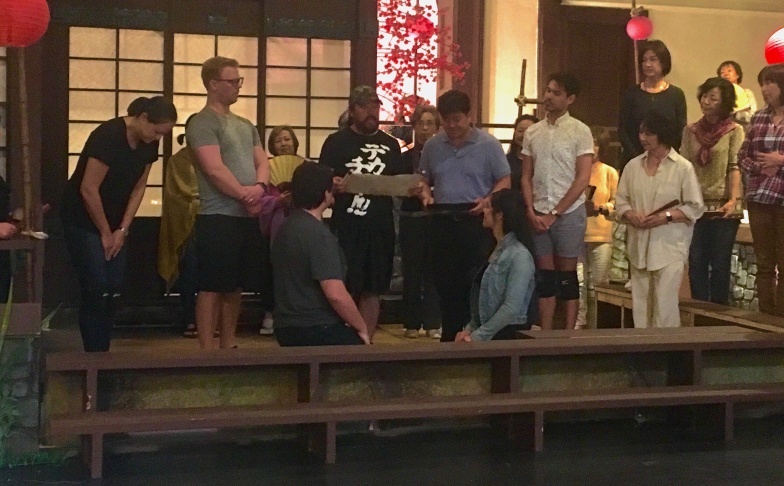 As a small production, Shaw had to do a lot of legwork to find his diverse cast, as well as the Little Tokyo venue where it's being staged. "I go on the Internet and I search for 'Japanese this,' or 'Japanese that,'" Shaw said. "Many times, it was going on Facebook, looking at my list of friends, seeing their friends ... and seeing if I can tell if they're a singer or in the arts, and then following up on that lead. It was very difficult and time-consuming." They did six rounds of casting between New York, Houston, and L.A. to find Japanese singers for the ethnically accurate production. While the languages are fresh, the libretto and the staging are quite traditional, despite the temptation to modernize story elements. "It's going to be the most traditional looking production POP's ever done, without a doubt. I mean, it could be the most traditional looking Butterfly ever done," Shaw said. They wanted to make sure the costumes in particular were spot on, especially the Japanese costumes. 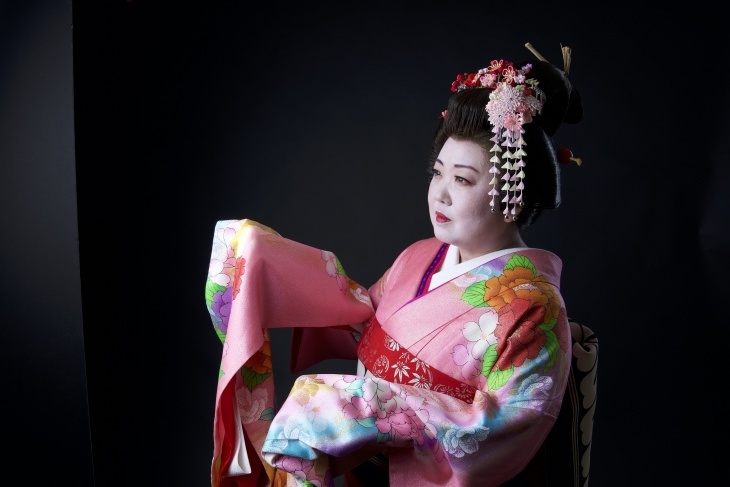 They hired a fashion designer who keeps a huge stock of traditional kimonos, and are doing extensive makeup. "My girls are getting called three hours before curtain to get into costume and makeup, which is just crazy," Shaw said. Beyond the main characters, there are also 26 chorus women who are also in full makeup and costume. The full set design with costumes was being kept under wraps ahead of the show's premiere to keep it a surprise, but Shaw said that's due to how impressive he thinks it looks, not to any major difference from a traditional staging. If you don't know Japanese, no need to fear — just like with most Italian opera stagings, they've got "supertitles." That's the display up above the stage that shows what's being said, and they'll be displaying everything in both English and Japanese. 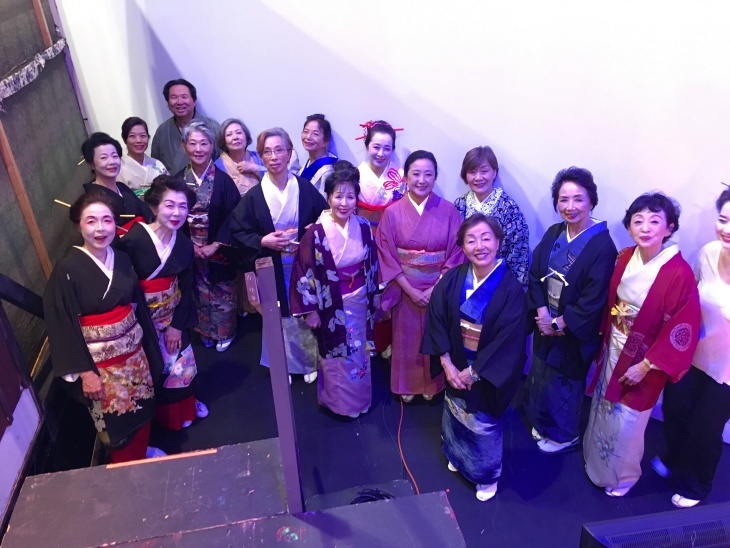 Madama Butterfly has its world premiere on Saturday, running this weekend and next at the Artani Theatre in Little Tokyo. Then Shaw packs up everything and literally drives it to Texas — the show takes Easter week off, then moves to Houston for another two weekends.